Hydraulic operated work table. Motion of work table is controlled by stepless speed controller. Extra high power for cutting. Work table with auto stop. Work table has auto reverse. 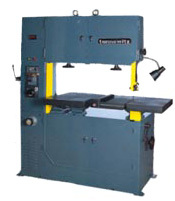 These machines are designed for labor savings that will cut down production costs substantially.